Hey Ladies! 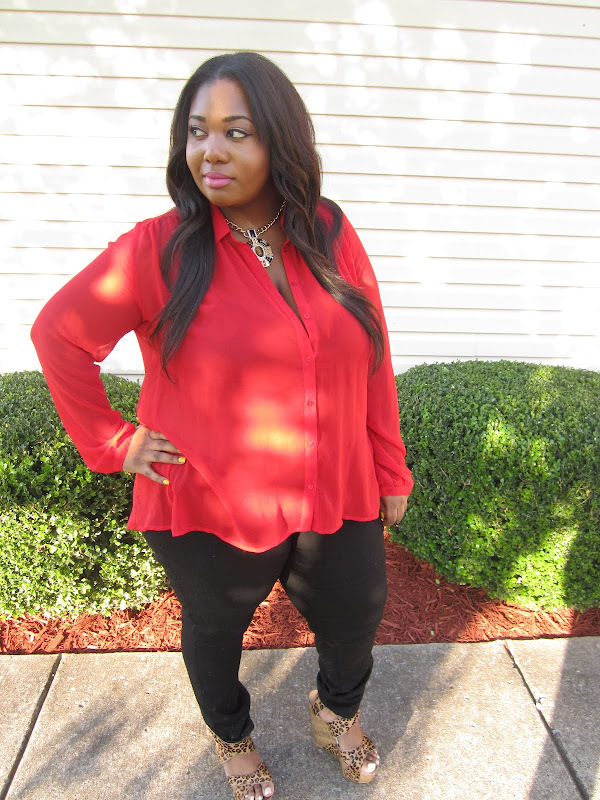 As promised, here is the OOTD featuring the red sheer top. I didn't post the pics right away because the the sun was shining really bright and the lighting was off. I wanted to see if I could fix it, but I couldn't :0( so I just posted them as is. well, excuse the HECK outta me! those shoes need to be mine! =) you look good and happy! Super cute look. 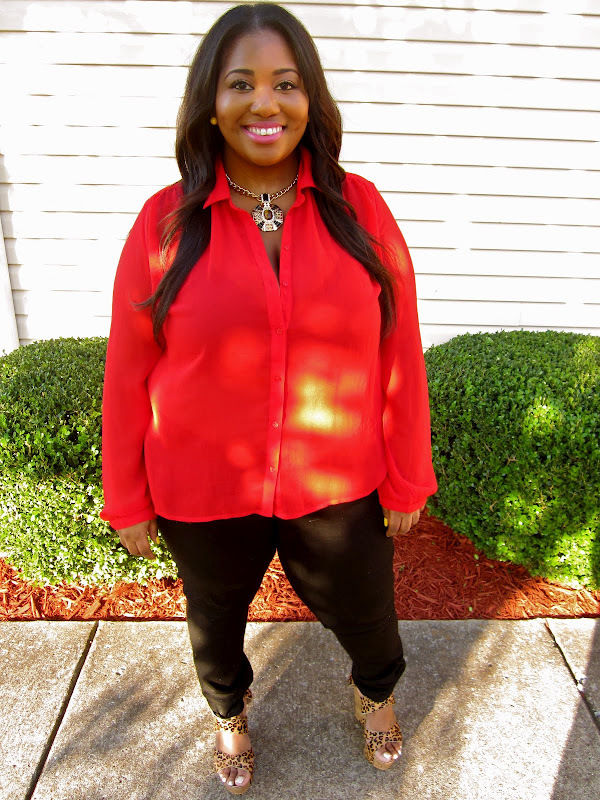 Loving the red blouse paired with the animal print wedges! 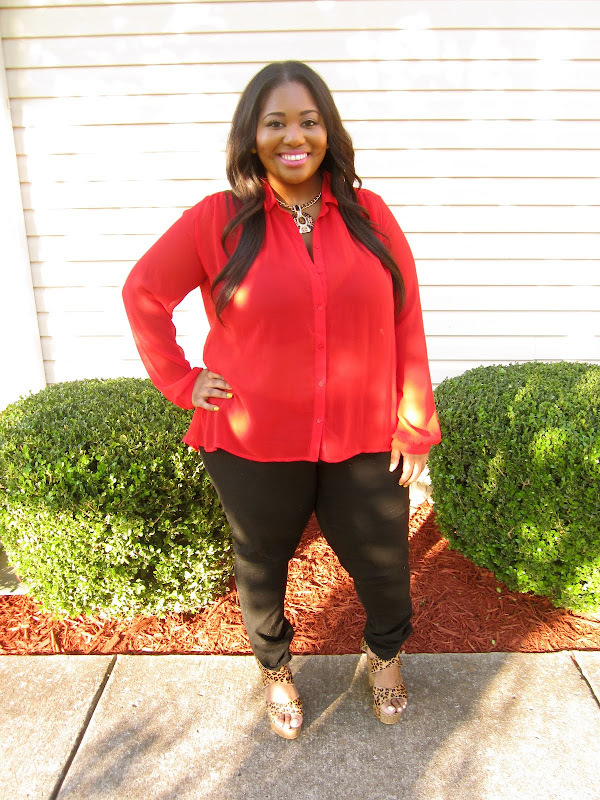 You look fabulous Brittany, red is definitely one of your colors!! You know it's funny that you say that because I NEVER wear red unless it's red lipstick. I just always thought it didn't look good on my skintone. I figured out that it has to be super bright red for it to work for me. absolutely gorgeous! i love the top!! U look awesome!!! u paired this outfit very well! Super gorge!!! I love everything about this look! very pretty! love the top! I like! Love the shirt paired with the wedges. this is haute! 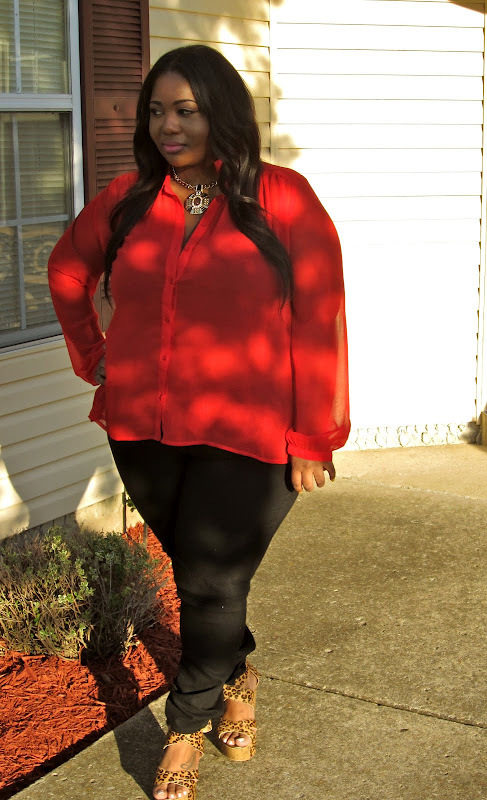 love the red blouse and the shoes of course! This is cute! Red paired with leopard always works! Now give me your wedges! LOL Ooh and are those the Rockstar Jeans from Old Navy? If so, I have those in black too and 3 or 4 other colors. They are sooooo comfortable! Ohhhhh my goodness! Just beautiful - too hot for words! I'm going to need that sheer top in every color ASAP. I love this outfit, its very springy! 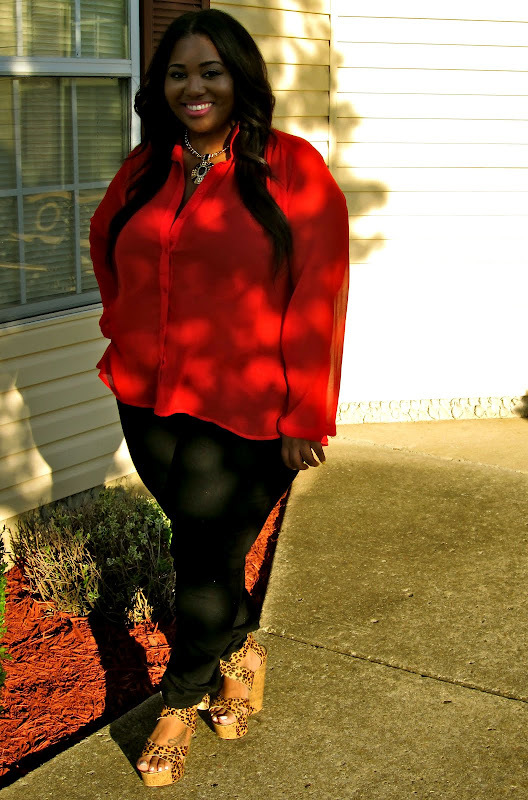 i love red and i think all shades of red look great on us african american females. im loving those wedges too. i love printed wedges. Bomb! I could knock you over and steal those wedges right now! lol jk but Im in love with them!